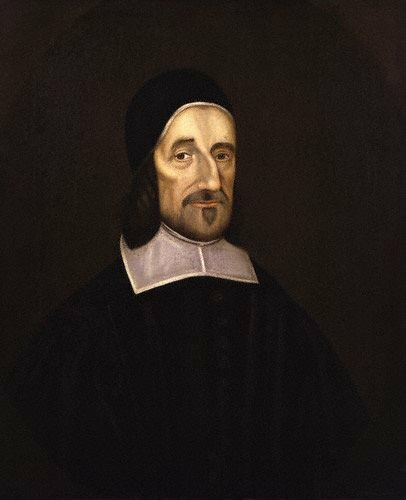 Richard Baxter was born in Rowton, England in 1615, the only son of Beatrice and Richard Baxter, Sr. His father was converted when Baxter was about 10 years old, which he says God used to prepare his own heart to believe. Eventually, “a prolonged illness and various books–William Perkins‘s Works in particular—were the means God used” to confirm Baxter’s conversion. For his education, Baxter attended Wroxeter grammar school under John Owen. In lieu of going on to study at a university, he continued his learning through private study. In 1638 Baxter entered into the ministry as a deacon, and in the years that followed he would go on to hold offices of curate, lecturer (paid preacher), army chaplain, and vicar. Baxter’s most sustained role was at Kidderminster, where he labored for nearly 20 years. His work was so effective that nearly the whole town was converted. The ministry philosophy behind his work here became the basis for his classic book The Reformed Pastor. The great religious and political upheavals in 17th century England had their effect on Baxter as they did for so many of his fellow Puritans. The Act of Uniformity removed him from the Church of England when he was nearly 50 years old, and he never again entered the pastorate. He was also jailed on at least two occasions for nonconformist teaching. Shortly after the Act of Uniformity, Baxter married one of his converts, Margaret Charlton, who at the time was about half his age. Their disparity in years was somewhat controversial, but the evident goodness of their marriage soon put the issue to rest. They lived privately in or near London for the 29 years of their marriage. In the remaining years of his life, Baxter would preach occasionally, but he devoted the majority of his time to writing, leaving behind, in total, a library of over 150 treatises and countless letters and papers. He died December 8, 1691 at the age of 76. Whether or not one finally agrees with Baxter’s positions, one finds oneself confronted with the mature judgment of a clear, sharp, well-stocked, wise mind, as distinguished for intellectual integrity as for spiritual alertness. I do not think Baxter was always right, but I see him … as one of the most impressive of Christian thinkers. The Saint’s Everlasting Rest – “An all-time devotional classic on how thoughts of God and heaven can renew the heart for service here below” (Packer). The Reformed Pastor – A detailed look at the kind of oversight Baxter believes pastors should have over themselves and their flocks. The Practical Works of Richard Baxter – a compilation of Baxter’s most popular Christian writings. It contains the two titles above, A Christian Directory, A Call to the Unconverted, Dying Thoughts and many more.